Now, Mongolian readers have a chance to read the very interesting books about the Emperor. In the presentation of the books, we have invited Mongolian historians who are interested in the history of the World and Europe. 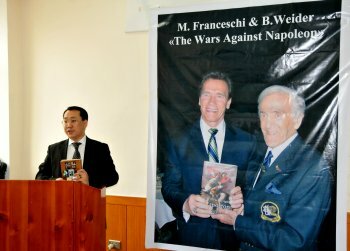 I am very proud because I did all my best to promote Mr. Ben Weider's work and his hero Napoleon in my country.
" NAPOLEON, THE MAN WHO SHAPED EUROPE "
Professor Choisamba Choijiljav, sitting at the head of the table, holds a press conference about the new book entitled "Napoleon, The Man Who Shaped Europe", which Ben Weider wrote. 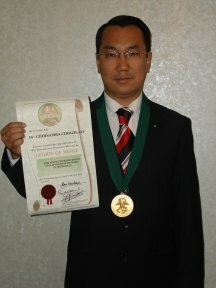 Professor Choisamba Choijiljav of Ulaanbaatar, is the representative of the INS in his country Mongolia. 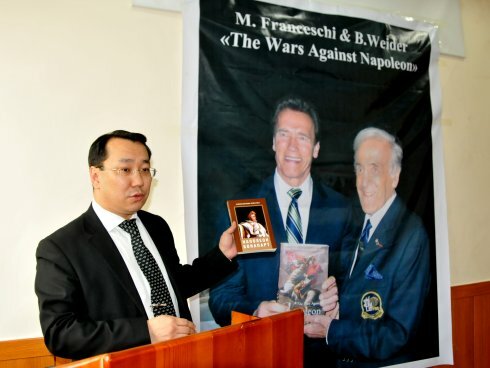 Professor Choisamba Choijiljav has arranged for the translation and the publication of this book and held a major press conference, which was covered by all the major newspapers and television stations in Mongolia. The book was received with positive reports. 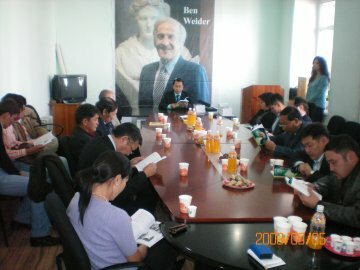 Napoleon was basically unknown in Mongolia until several Ben Weider books were printed and distributed there. The INS wishes to congratulate Professor Choisamba Choijiljav for his dedication and devotion to Napoleonic history. editions of this book are shown. 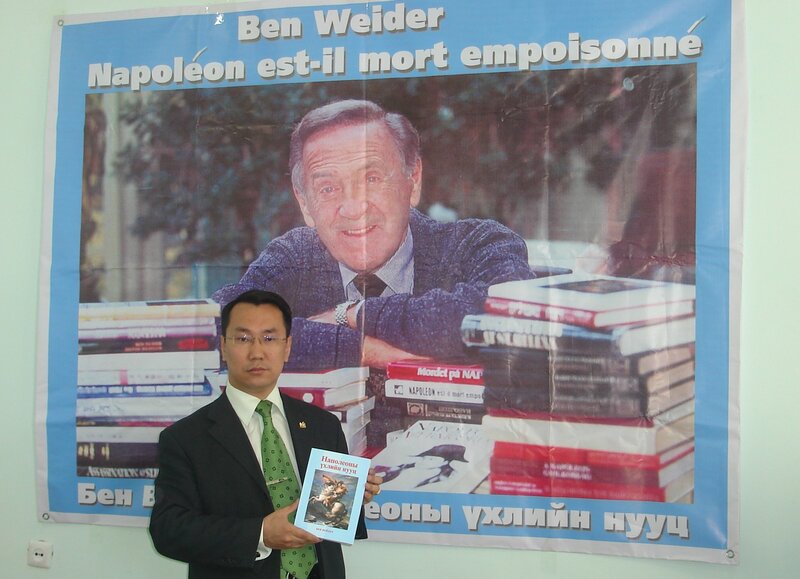 The International Napoleonic Society is very proud to announce that it's President Ben Weider's book on «The Murder of Napoleon» has now been published in the Mongolian language. This makes 45 foreign editions that have been published of this book and more than 1 million copies sold. This is a record for an historical book of this nature. 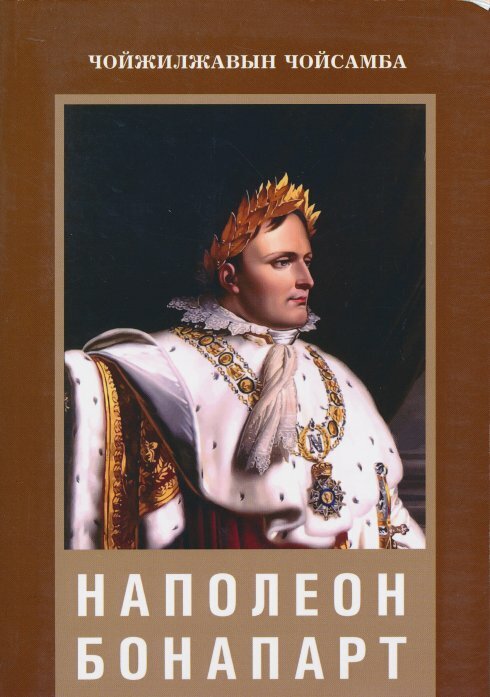 A fellow of the International Napoleonic Society, and recipient of the INS Legion of Merit medal, Professor Choisamba Choijiljav of Mongolia, arranged for the translation and the publication of this edition. The INS congratulates him for a job well done. Academician Professor J. Boldbaatar, who is a renowned historian and participated proudly in this event.